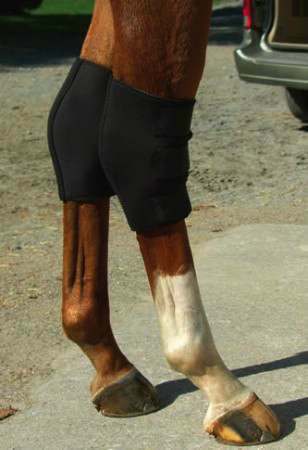 The AirLite Neoprene Hock Boot is known to offer great protection for Horses Tendons & Ankles. These Hock Boots are made of Neoprene which is a perforated material which gives your Horse the protection and care that it needs. We offer the lowest prices on AirLite Neoprene Hock Boots and many other Horse Tack products.